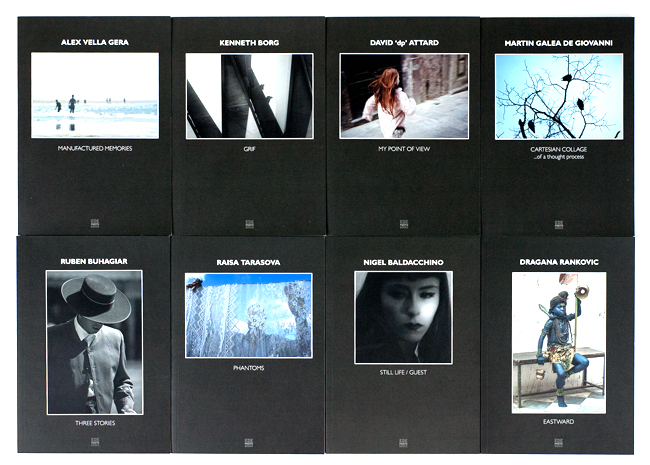 Ede Photo Books - Series Two is continued collaborative publishing project between Ede Books and visual artists. Presented in the second series are photography works by Alex Vella Gera, David ‘dp’ Attard, Dragana Rankovic, Kenneth Borg, Martin Galea De Giovanni, Nigel Baldacchino, Raisa Tarasova and Ruben Buhagiar. Each book consist of up to 30 photographs presenting single artist's work.